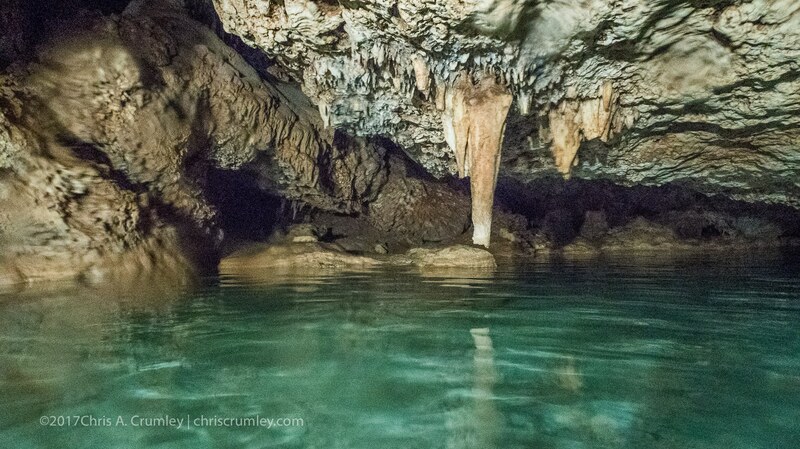 The 55' (18m) descent into the Bonaire Wet Cave (Cave#2) was difficult with the gear we wanted. Robert Minnick and I split the load. He carried his housed Canon 5d with a 16nn and I schlepped the Keldan 8m lights. We also used Ashley Hare's housed Canon DSLR. Next session here we'll be much better prepared. If anyone is thinking about doing this, get in touch and I'll save you some guessing about what you'll need. If you're missing one piece, you're toast. Model: Celine Van de Voorde (Brussels, Belgium) -- with Reef Photo & Video and Keldan Lights.